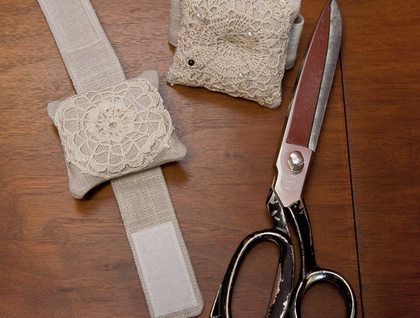 A sweet little pincushion you can wear on your wrist while you sew! 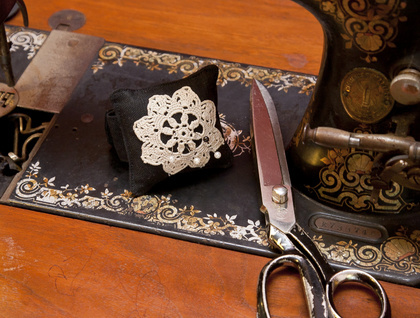 Gorgeous vintage mini doily backed with linen to make the perfect Dressmakers accessory. 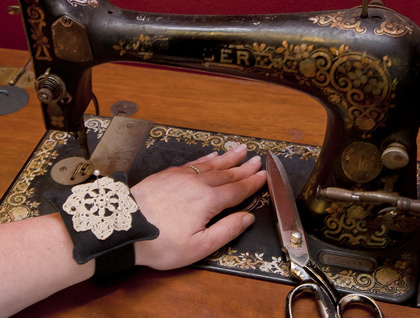 Just wrap around your wrist and secure with the velcro fastening and you will be sewing in style. 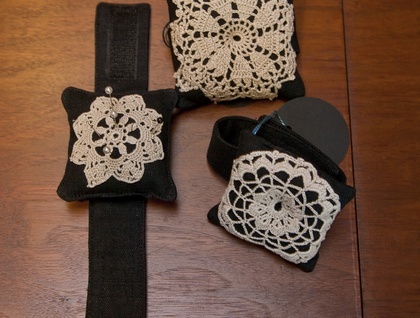 A practical but special and thoughtful gift for the dressmaker in your life or the perfect gift for yourself! One size fits all as the Velcro strap makes it adjustable. Upcycled Linen with vintage doily, filling is new hobbyfill stuffing. This item was made as part of my waste not want knot philosophy and uses mostly upcycled and repurposed materials to make something new and desirable, eco-fashion. 100% Zippitydoodah idea, handmade in NZ with a green philosophy!